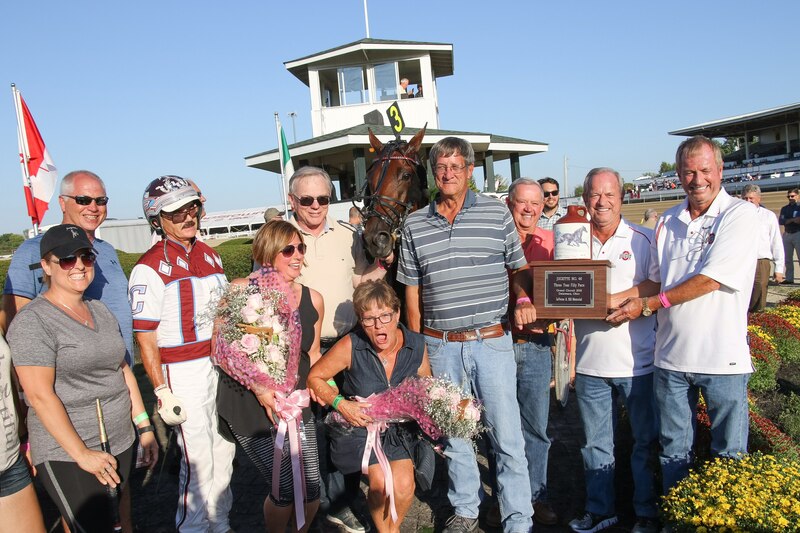 L A Delight brought pure pleasure to her connections Wednesday (Sept. 21), winning the $239,400 Jugette for 3-year-old female pacers by three-quarters of a length over Call Me Queen Be in 1:51.3 at the Delaware County Fairgrounds. Yankee Moonshine finished third and Pure Country fourth. The victory gave Bob McIntosh — who trains, co-owns, and co-bred L A Delight — a record-tying third victory in the Jugette. McIntosh joined Billy Haughton as the only trainers to win the race three times. 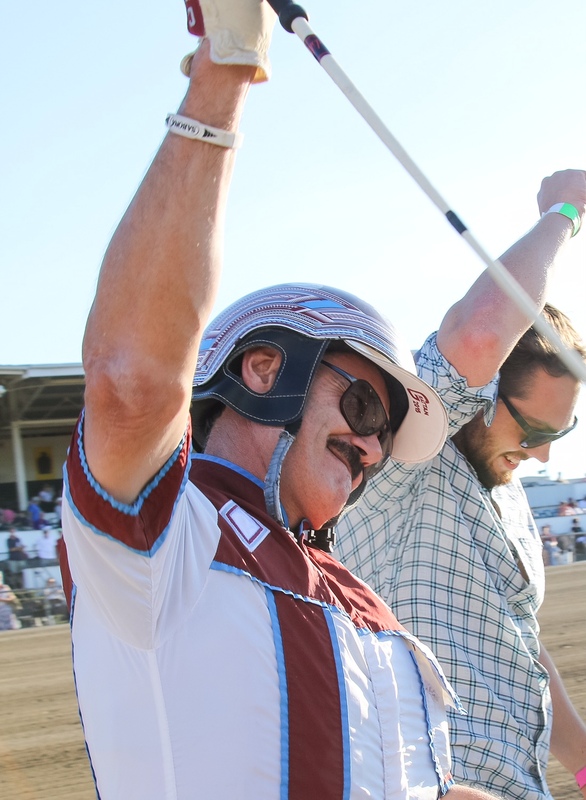 It also was a record-extending fifth Jugette triumph for driver John Campbell, who gave a little fist pump after L A Delight crossed the finish line. Call Me Queen Be was the 1-2 favorite in the Jugette final after winning the event’s first heat in a world-record 1:50.1. The time was the fastest ever by a female pacer on a half-mile track, eclipsing the mark of 1:50.3 set by Shelliscape in 2012 at the fairgrounds. L A Delight finished second in the opening round and was the subject of an inquiry for going off stride just prior to the finish line. The judges determined that the heat’s third-place finisher Pure Country was not lapped on at the time of the break, so no changes were made in the order of finish. The first heat’s order of finish determined the post positions for the final. Starting from post one, Call Me Queen Be and driver Scott Zeron went to the front, with L A Delight, Pure Country, and Yankee Moonshine settling into the next three spots behind the leader. With no movement behind her, Call Me Queen Be led the field to the opening quarter in :27.1, the half in :56.2, and three-quarters in 1:25, setting up a sprint to the finish. Campbell pulled L A Delight to the outside for the last quarter-mile and came home in :26.2 to pull away as the fillies neared the wire. “She’s never really went a bad race,” McIntosh said. “She’s about the best filly I ever had that made a million dollars and never gave me any gray hair. She’s just a true professional. She’s easy on herself, and she’s a fighter. “It has been a long time since I’ve won one of these things and now that I have three (Jugette titles) I’m in pretty elite company as only Billy Haughton has that many, but I don’t think about those things. I am just happy. It is so special to win one of these with John driving. We go back many, many years. It was 1977 when he first drove a horse for me and it was a $4,000 claimer, so look where we are now. “It is also special to go back to her second dam and to win this with a horse that we bred. She has never given me an anxious moment since she was a baby. 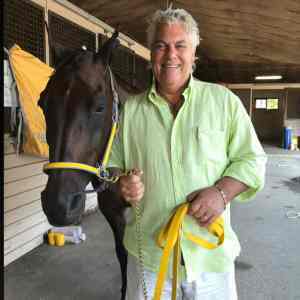 L A Delight has won seven of 13 races this year and earned $399,126. She was Canada’s O’Brien Award winner for best 2-year-old female pacer in 2015 and is owned by McIntosh’s fellow co-breeders C S X Stables and Al McIntosh Holdings. She is a daughter of stallion Bettor’s Delight out of the mare West Of L A, who finished seventh in the 2009 Jugette. L A Delight has raced primarily at home in Ontario this season and will return to the province following the Jugette.